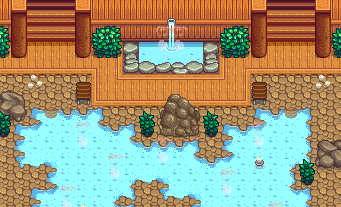 This mod replaces the bath house with an indoor hot spring. 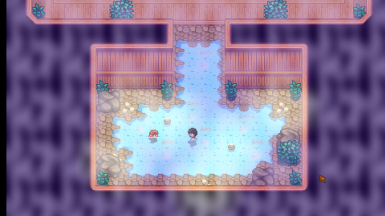 You can change the unfitting noise in the changing rooms into running water as well. Now updated to version 1.2! Make sure to redownload the main file! 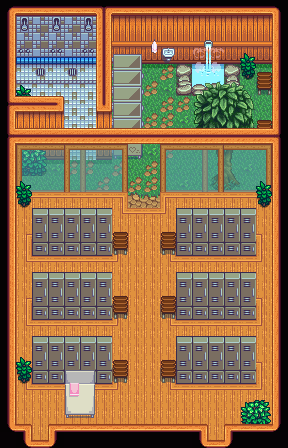 I never liked the look of the old bath house as it looked quite out of place in Stardew Valley. Something that would fit more into a poorly kept city in my opinion. 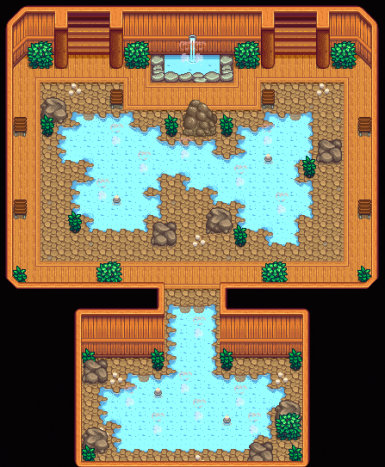 With this conversion mod I aimed to make the bath house actually worth visiting for an aesthetically pleasing experience. Let me know if you want anything added/changed and I'll include it as an optional version. Installation instructions included in the file. 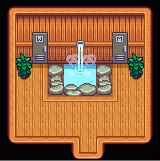 Credits to DevilBro for making the original hot spring tiles (the rest is created by myself) as well as inspiring me with their mod to start this project. 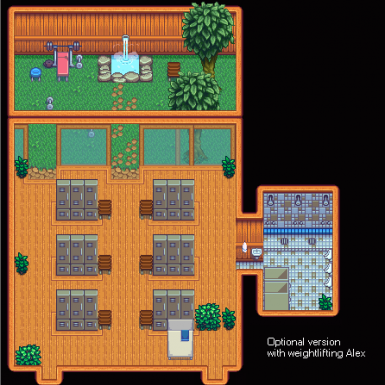 Check out their mod here: http://www.nexusmods.com/stardewvalley/mods/357/? 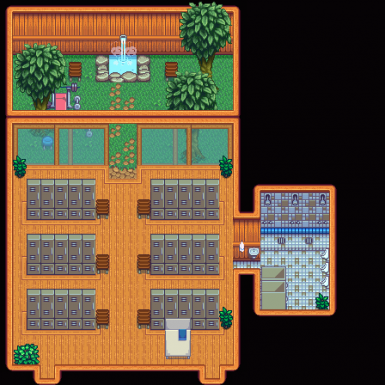 Check out my Farmhouse Basement Mod here: http://www.nexusmods.com/stardewvalley/mods/524/?